Most of us possess a deep desire to have a lasting impact and make a positive contribution. But sometimes it feels like we just can’t get any traction, like our messages aren’t connecting, right? If you’re a blogger, podcaster, or online entrepreneur who feels like you’re spinning your wheels, you’re not alone. The good news is you can sharpen your message and significantly increase your impact with a simple but proven makeover process. 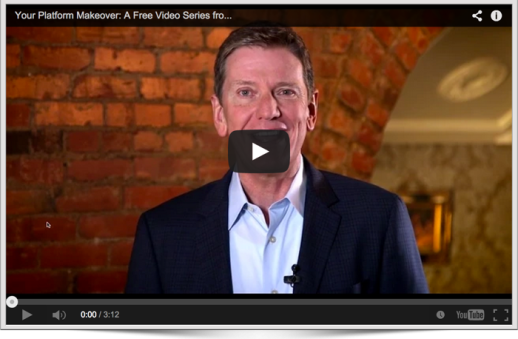 My free, three-part video series, Your Platform Makeover, will show you exactly how it’s done. To learn how a handful of simple but powerful changes can help you fine-tune your message and increase your impact, sign up for my video series, Your Platform Makeover. It’s free for a limited time. Click here to watch it now.